(SACRAMENTO, Calif.) — A team of investigators at UC Davis and Shriners Hospital have discovered that a factor in the embryonic development of brain cells is an important target for developing new drugs and stem cell therapies to treat patients who have lost function from multiple sclerosis, cerebral palsy, stroke and other “demyelinating” diseases and injuries. The study, which was conducted in mice, appears online today in Scientific Reports, a new primary research, open-access journal from the publishers of Nature. The study focused on cells in the brain called oligodendrocytes, which surround nerve fibers and provide them with a protective myelin sheath. 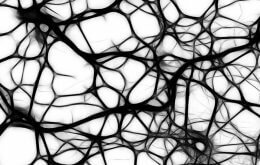 Myelin increases the speed at which nerve impulses propagate, similar to the role of insulation around an electric wire, and is essential for the proper functioning of the nervous system. Diseases that injure oligodendrocytes include multiple sclerosis, cerebral palsy and leukodystrophies. Traumatic brain injuries can also cause demyelination, as can strokes. Deng’s team studied a factor that has been found only in oligodendrocytes. Although researchers knew the factor, called Zfp488, is required for oligodendrocytes to mature during embryonic development, they were surprised to find it also plays a role in adult brain cells. For the study, the investigators induced demyelination in mice by feeding them a diet containing cuprizone, a chemical that specifically damages mature oligodendrocytes. After two weeks, one group of mice was injected with a retrovirus that contained the genetic code for Zfp488, causing these mice to express this factor in their cells. After three more weeks on the diet, these mice developed new oligodendrocytes from precursor cells in much greater numbers than occurred in control mice, which were also on the cuprizone diet but were not provided with Zfp488. The researchers found not only oligodendrocyte recovery, but important differences in motor function between the two groups. Three days after the diet was stopped, mice provided with Zfp488 performed significantly better on a test of running time than did the controls, and performed as well as mice that never received the demyelinating diet. This is especially important, according to Deng, because people with a demyelinating disease have poor motor control as a major symptom. According to Deng, the study findings could lead to identifying a drug that specifically enhances the activity of Zfp488. Another potential avenue of therapy could be to implant precursor cells of oligodendrocytes to promote regeneration. The article is titled, “Zfp488 promotes oligodendrocyte differentiation of neural progenitor cells in adult mice after demyelination.” The lead author is Mangala M. Soundarapandian of the UC Davis Department of Cell Biology and Human Anatomy. Other authors are U-Ging Lo, also of the Department of cell Biology and Human Anatomy; Mari S. Golub of the UC Davis Murine Behavioral Assessment Laboratory; Daniel H. Feldman of the Institute for Pediatric Regenerative Medicine; and Vimal Selvaraj, previously at UC Davis and currently at Cornell University. The Institute for Pediatric Regenerative Medicine is a joint initiative between the UC Davis School of Medicine and Shriners Hospital for Children, Northern California, to carry out basic and translational stem cell research with the aim of helping children with brain and spinal cord dysfunction, orthopaedic disorders and burns. It occupies more than 22,000 square feet of laboratory research space inside Shriners Hospital in Sacramento, across the street from UC Davis Medical Center. UC Davis is playing a leading role in regenerative medicine, with nearly 150 scientists working on a variety of stem cell-related research projects at campus locations in both Davis and Sacramento. The UC Davis Institute for Regenerative Cures, a facility supported by the California Institute for Regenerative Medicine (CIRM), opened in 2010 on the Sacramento campus. This $62 million facility is the university’s hub for stem cell science. It includes Northern California’s largest academic Good Manufacturing Practice laboratory, with state-of-the-art equipment and manufacturing rooms for cellular and gene therapies. UC Davis also has a Translational Human Embryonic Stem Cell Shared Research Facility in Davis and a collaborative partnership with the Institute for Pediatric Regenerative Medicine at Shriners Hospital for Children Northern California. All of the programs and facilities complement the university’s Clinical and Translational Science Center, and focus on turning stem cells into cures. For more information, visit www.ucdmc.ucdavis.edu/stemcellresearch.